The thought of trekking with the sun on your head is a little scary. Specially after experiencing it on our way back to the base village from Bhairavgad. Even though it was downhill, the thought surely crossed my mind that I may faint. But, that shouldn’t stop anyone from traveling and the love to see a new place will always ensure new plans get made every single time. And so, after a lot of discussion, lots of changes in destination and lots of people dropping out, we still made it – A weekend to Kashid, Murud and Janjira. The trip started at my friend’s beautiful and palatial bungalow (6 bachelors sharing a house). We were invited to judge this new cook they were planning to hire who had made some delicious Chinese dinner. After a funny (and a little boring) round of introduction, we all gobbled up some sumptuous dinner and tried to nap for about an hour. 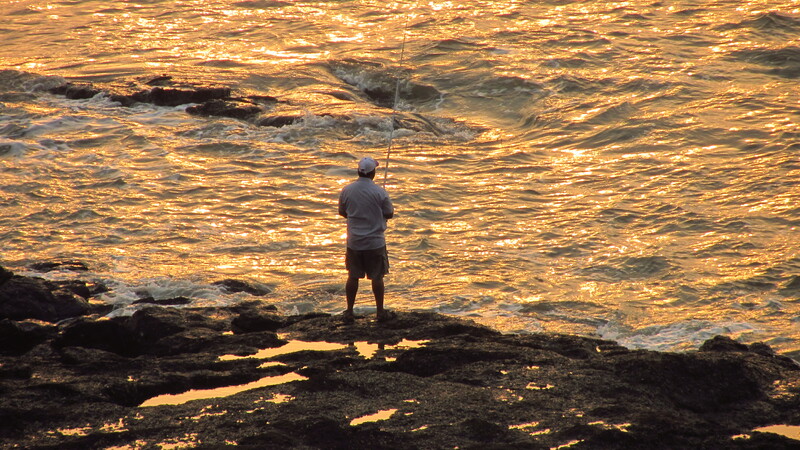 We left Pune by 230AM to catch the sunrise at Kashid. After a long time, the driver was a friendly one and the 8 of us played some serious Antakshari. 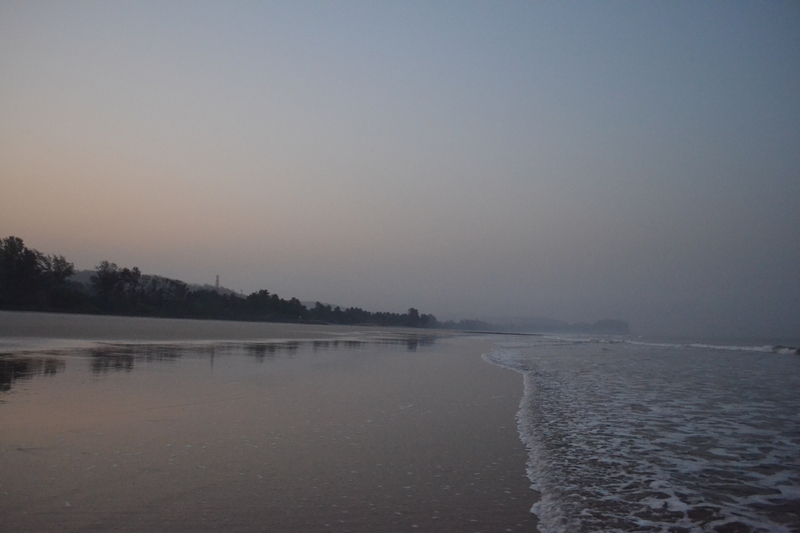 We reached Kashid beach by 6AM with ample time before sunrise. The beach is unbelievably clean (compared to other popular beaches). It’s a flat beach which makes it a famous destination for people wanting to play in the sea and for sea sports. The weather was overall pleasant with maybe about an hour of heat in the afternoon. We played in the beach with the waves going over our heads and us trying to hold our ground. The beach was perfect for someone like me with introspective thoughts. The sun was slowly rising from the opposite side of the ocean (from the mountains) and we headed towards the shacks and hammocks – a great place for a nap (I found many more perfect nap points this time too 🙂 ) After sometime, we went back to the beach to click some pictures but ended up taking a ride on the banana boat and riding the jet ski. I absolutely love the feeling when you are floating in the ocean facing the sky (with a life jacket on of course). It’s something which is out of this world. Oh, and I love the control of speed in my hands while riding the jet ski! We tried negotiating with these water sports guys after taking the rides (stupid of us) and that guy ended up threatening us saying, ‘if you don’t pay the amount I’m asking, try getting out of this place’ (Damn.. I wish I knew some goons too and I could threaten him back). Breakfast was Maggi (I refuse to eat poha all the time) with some great chai (with right quantity of sugar). We headed out to find a place where we could freshen up. We found a house/hotel and he allowed us to use his bathroom. And we ended up spending 2 hours there (8 of us had to shower). I went first and so I got to sleep for almost 2 hours on a hammock amidst coconut trees! Coconut trees always build this craving in me to go back to my hometown – Udupi. We headed to Murud to find this awesome restaurant recommended by our driver which served great sea food. It did and we filled our tummies with just fish fries and prawns. The vegetarians had a tough time though as their food was just not good. 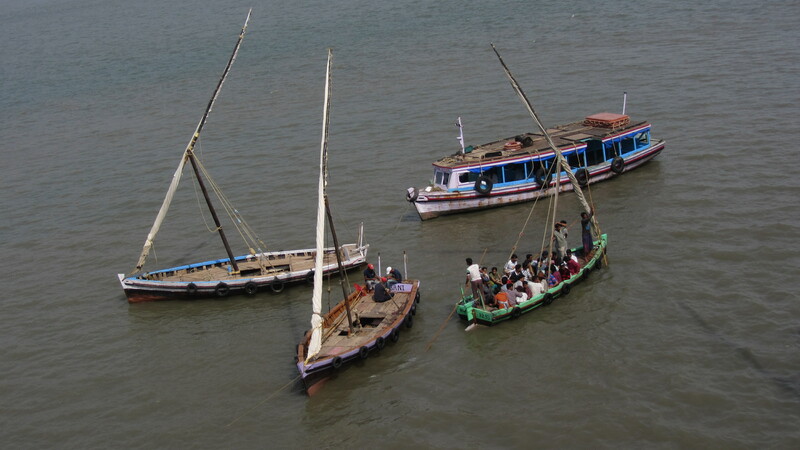 After some contemplation we headed out to Janjira fort, a 20 min drive from Murud and a 20 min sail boat ride. 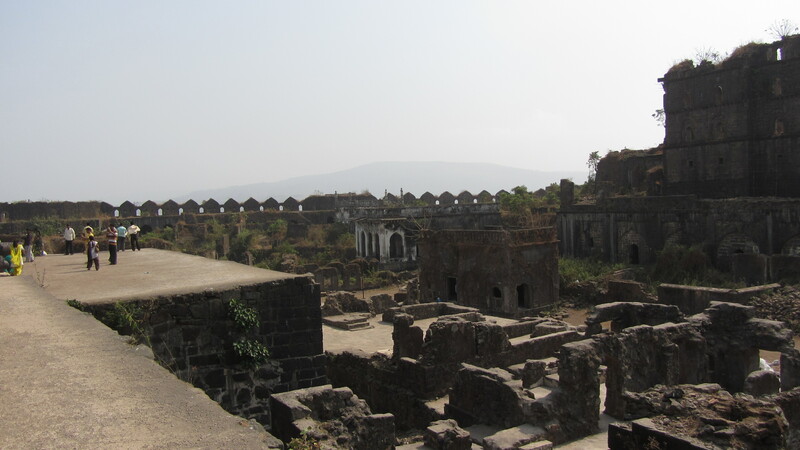 Janjira fort has some great history. 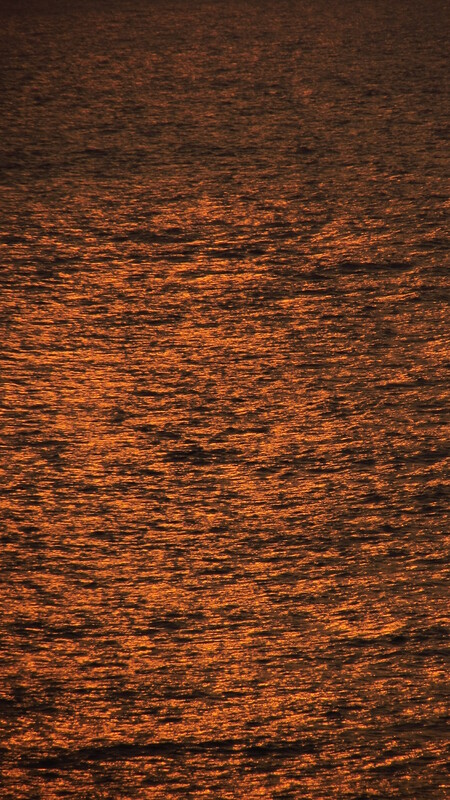 Here’s the link to read more about Janjira. http://en.wikipedia.org/wiki/Murud-Janjira The fort is gorgeous. It is very cleverly conceptualized and executed. Every-time I go to these tourist places, something appalls me. People throw water bottles and other garbage in these amazing destinations and it frustrating. I make sure to throw stuff only in the dustbin but I realize that doesn’t solve the problem. Something struck us in this trip. We thought let’s pick up 10 water bottles from every place we visit and bring them back and dump them in the right place. And so we started by picking up bottles at Janjira fort. Immediately, people started patting our backs and some groups even applauded us. 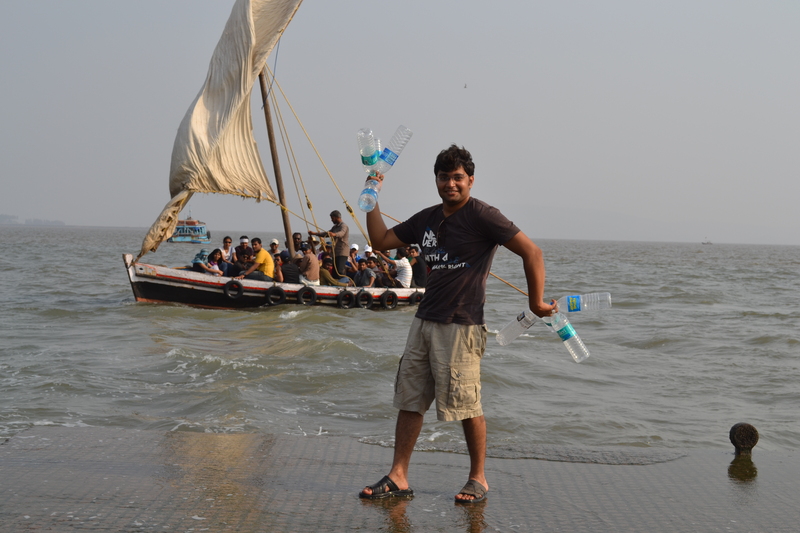 While getting into the boat from the fort, we were passing the bottles to our friends and the boatman says, “what are you doing with these bottles, just dump them into the sea” These are the propagators of making our beautiful oceans a dump-yard. We tried to leave a message by asking them to instruct people not to dump garbage in the fort and the sea but they don’t believe in the concept. But we still carried maybe about 20 bottles to the shore and gave it away to this guy who was collecting bottles to sell. We plan to make this a movement. What do you think? 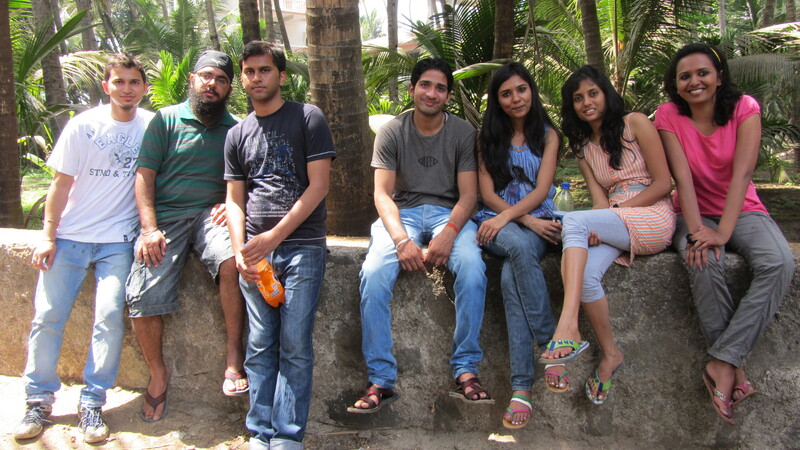 We started our drive back from Janjira and plan to watch the sunset at some beach.. Any beach! In about 20 minutes, we had a flat tyre. The boys were amazing in changing the tyre but even that had very little air and 10 minutes later, we had a flat tyre again. We requested some passers-by to take us to the mechanics’ shop which was about 10 kilometres from where we were and after about 10 vehicles, this auto-ricksaw guy was willing. We finally headed out by 8pm. Did I mention, our driver was awesome. He ensured our friend reached on-time and boarded his bus to Hyderabad. All in all. It was a great trip!! 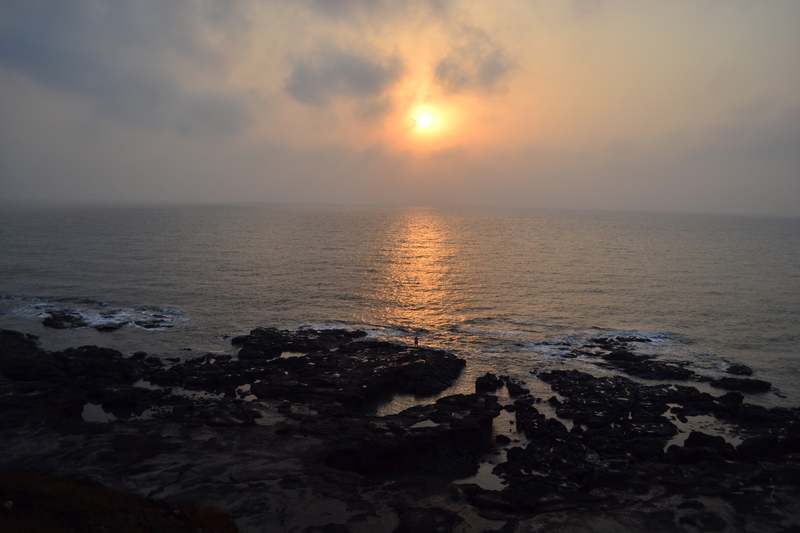 Posted in TravelTagged Adventure, Antakshari, Beach, Drive to a beach, Fort, Hills, India, Janjira, Kashid, Mountains, Murud, Places near Pune, Scorpio, Sea Food, Sunrise, Sunset, Tourist Destinaion, Vachana ShettyBookmark the permalink.